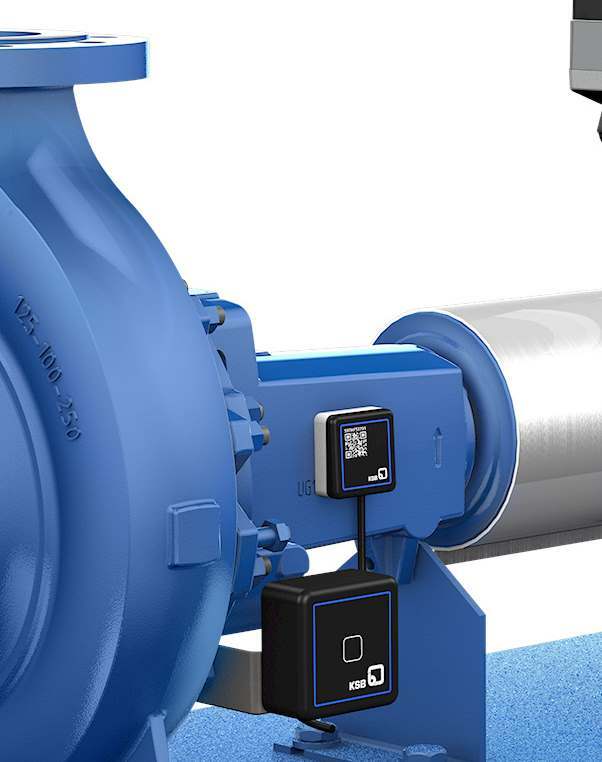 At this year’s Achema, KSB is presenting a new pump monitoring system called KSB Guard. Networked vibration and temperature sensors fitted directly to the pump make availability at plant level transparent. The system ensures that changes in the operating behaviour of the machine are detected at an early stage, and maintenance work can be better planned, without having to be on site with the pump. Unlike previous systems, KSB Guard is ideally suited for retrofitting. The sensor unit is attached to the bearing bracket or the drive lantern of the pump using a magnet and adhesive, and can be mounted during operation, with no need for changes to the machine. A battery unit, which is also supplied, provides self-sufficient power supply. The data, which is captured hourly, is transferred directly and wirelessly in encrypted form to the KSB Cloud via a gateway for processing. Users can query the status data of all monitored pumps at any time and from any location using their mobile phone, a tablet or a PC, without having to be on site. For maximum coverage in the field, KSB Guard establishes a mesh network within the monitored pumps, thereby minimising the number of gateways required. 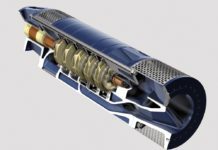 In addition to current status data and recorded trends, other information on the pump – including the operating manual and exploded view – can be called up with just a few clicks. This gives the users quick and easy access to a comprehensive overview of the technical status of their pump population. In the event of the pump requiring maintenance, users also have all the necessary data at their fingertips. If the average vibration velocity or the temperature exceeds a predefined or user-configured limit value, the system creates warnings or alerts. These can be delivered to the user via e-mail or push messages, as required, enabling action to be taken rapidly if the worst comes to the worst. 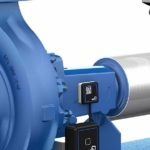 The new device is designed for centrifugal pumps from the manufacturer’s product range as well as for corresponding competitor pumps. The associated app or the web portal enables the user to view the current load condition and the load profile of their fixed speed pumps at any time. The new system builds on the technologies already employed in earlier monitoring and analysis units. 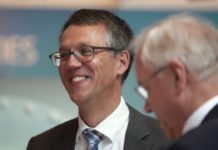 The aim of the newly developed solution was to create a cost-effective interface to the Internet of Things for the vast number of pumps in operation worldwide.